Fido's Friend Bunny Bath Shampoo & Conditioner is a unique formula designed for rabbits, guinea pigs and furry pets specially. It is a gentle, mild and soap free solution that is suitable for the delicate skins of these animals. It cleanses up the pet's coat and gives a lustrous look. The application of this shampoo leaves a baby powder like scent which feels refreshing. Wet your pet's coat with clean, warm water. 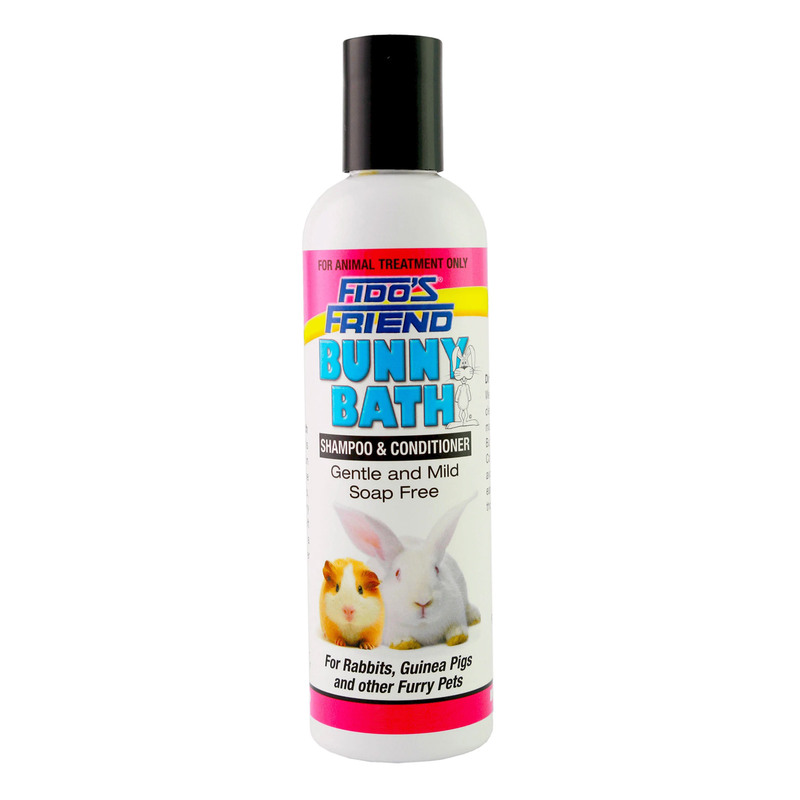 Gently massage Fido's Friend Bunny Bath Shampoo and Conditioner into the fur avoiding eyes and inside ears. Rinse off and dry thoroughly. This soap-free shampoo is great and works really well on my bunnies despite their skin being so delicate.